All the articles from now on will be published only on Negative ‘Free’ Electricity. The previous old articles on the negativeenergy.wordpress.com will remain to be linked, shared and studied. We do recommend to read always the newer articles, as everyone of us evolves in maturity, in knowledge and also the theoretical science as well as the experimental (para)science evolves at least weekly if not daily. We encourage you to ask, read about, test, try, challenge, everything you see, hear or think, with regards for your safety, of course. Just let the energy free – let the cell resonate by itself! Link to this blog! Study and learn! DIY! "cu cât înveţi mai mult, realizezi cât de puţin ştii"
Ai minte, ai internet, fa-le cunostinta! 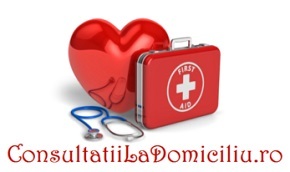 O relatie medic - pacient "normala" ? Zambeste! Daca ai ajuns aici, esti pe calea cea buna spre a-ti ingriji sanatatea. Medic.. sau cel mai bun prieten? Daca zici ca poti, ai dreptate. Daca zici ca nu... iar ai dreptate.